On this date, four years ago, I spent my last day not knowing I would have cancer. I praise God every day for another day. Knowing not everyone has the blessing of another day with their loved ones, I try to not take it for granted. I look back on photographs of myself "pre-BC" (before breast cancer) and I almost always think about how I had it and didn't know it or how nice it was thinking it wouldn't happen to me and how I lived care free in terms of what I ate and did, not knowing I could have been upping my chances of it actually happening to me. I praise God for pointing out the cancer before it was too late, and for the new knowledge that has helped me become healthy and make better choices for me and my family. May 26, 2009 was the last day I spent thinking it wouldn't happen to me. I pray you'll never have to say something like that. 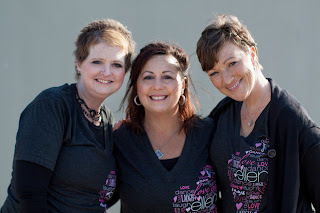 In February, Taira was gifted a surprise trip to Los Angeles to fulfill her dream of going to the Ellen show. It was an honor to be a part of it. During her visit we did many fun things together, including a photo shoot at Venice Beach, thanks to Brooke Ritter for volunteering her time and talent. 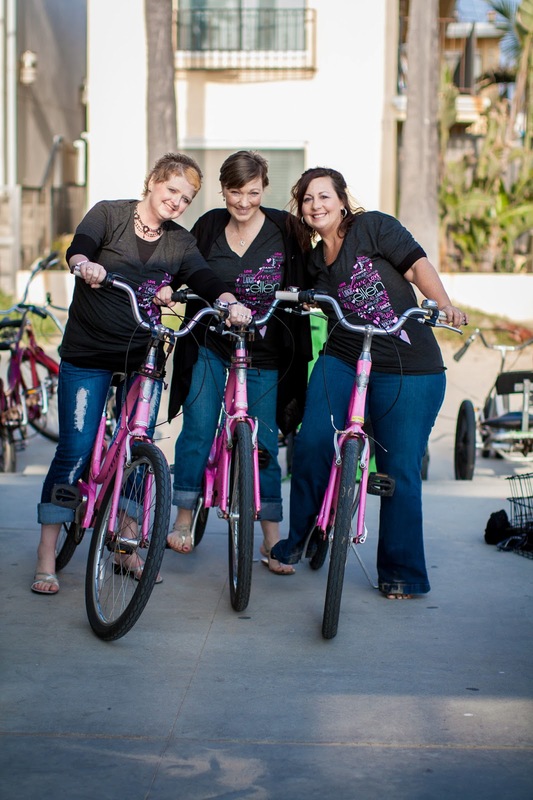 Here's a video Taira created to share her fun trip memories. Our friend, Patti, made this trip possible and invited me to participate. I miss you already, friend. xoxo May you rest in peace in the loving arms of our savior, Jesus. 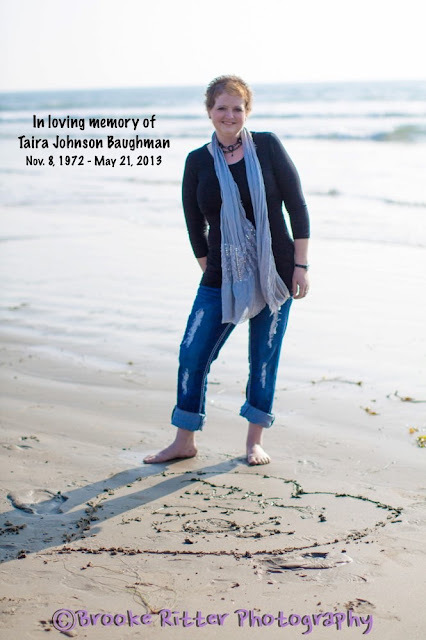 Please visit Taira's blog for other ways you may help the Baughman family. Thank you for your prayers and support of the Baughmans. Please pass this along to others who may be able to help the Baughman family. 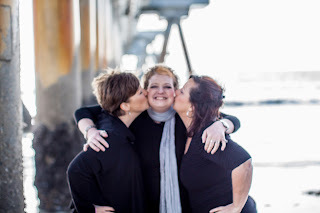 My sweet, dear friend, Taira has been battling stage 4 triple negative breast cancer and was recently sent home on hospice care. You can read about her journey, in her own words, on her blog. Would you please keep Taira and her family in your thoughts and prayers? This is a very difficult time for them and all who love them and they could use all the prayers we can muster. Thank you so much. 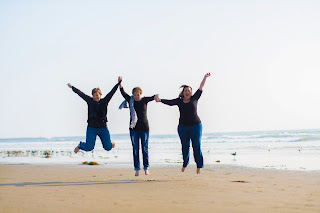 Below are some photos during Taira's recent visit with me and our friend Patti here in southern California in February - it was a truly blessed time together that I will forever cherish, and I'm so grateful to our friend Brooke (Brooke Ritter Photography) for volunteering her time and talent to capture our special time together. 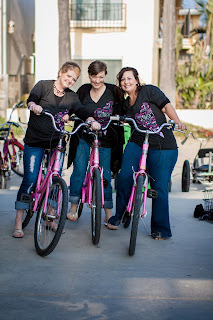 Pink bikes on the beach! "How can I help her?" 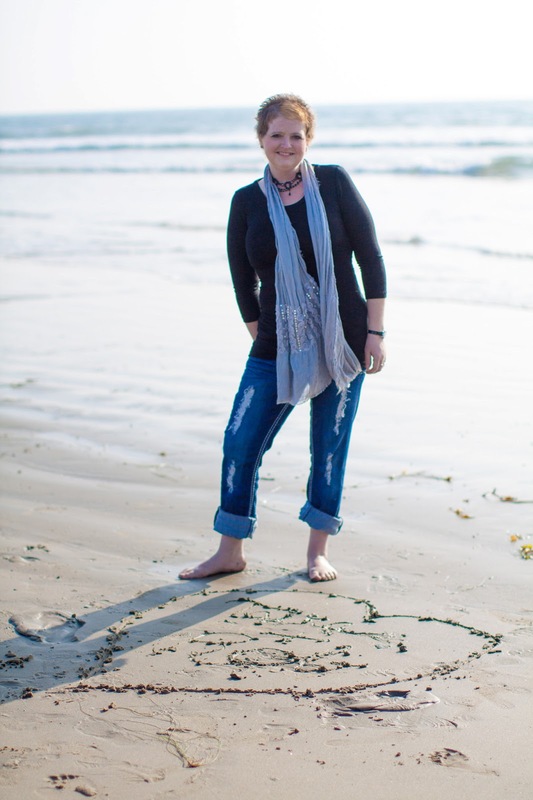 Since becoming a cancer survivor, one of my favorite questions to receive is "How can I help her?" When I get this question I know that there is pure love at work. Someone is taking the time to ask a survivor what helped (or would have helped) them get through it. Everyone is different in the way they approach their treatment, how much they want to talk about it, or how much help they want and need. But my experience, and interaction with numerous other survivors, brings the following suggestions to mind. As you consider these suggestions, think about how close you are to her and what feels comfortable and natural based on your relationship, time, and resources available. Stay in touch. Call, write, visit. Cancer isn't contagious but it is isolating. Don't be afraid of "bothering" your loved one. She needs all the support she can get. She may or may not want to talk about it. Play it by ear and take her lead but don't disappear. Sadly, many do. Don't be one of them. Organize a meal train where local friends can sign up to bring meals on certain days. Talk to her about how it works, get her and the family's preferences, sensitivities, and include that information on the website you use. Mealtrain.com is a great resource for organizing meals. Another great resource is lotsahelpinghands.com which allows people to organize different types of support needs. Sign her up for "Cleaning For A Reason" - a free cleaning service for women in breast cancer treatment - provided by local cleaning services who join this awesome program to make a difference in the community. If there aren't any participating providers in her area, call local cleaning services to ask if they'll do it, or commit to showing up and cleaning her house for her if you're a close friend or relative that she's comfortable with. Offer to take her kids out for activities with your own kids, or offer to babysit so she can rest without interruptions. Offer to drive her to the doctor, and/or to visit and play cards or talk during chemo. Chemo appointments are long and it's nice to have a distraction which could be quality time with a friend. Bring a packed lunch, a deck of cards, etc. Take her hat/scarf shopping, or pick up cute hats and scarves to bring her to try on at home. Look up free scarves, hats, headgear for cancer patients online. There's lots of great companies and organizations that offer freebies like that. If she wants a wig, the American Cancer Society offers free wigs to cancer patients and they even carry human hair wigs. I wish I had known about this before I spent money on a wig. Put her on the prayer list at church. Pray for her complete healing and recovery, for her and her family's peace and comfort during this difficult time. Call her before you go grocery shopping for your own family, and offer to pick things up for her while you're there. Sign her up for free and beautiful handmade cards sent by another survivor...www.littlelifepreservers.com. These cards are comforting and beautiful. I enjoyed receiving them and I've signed up friends who have enjoyed receiving them. Be patient with her. This is a time of great stress, and the treatment is intense and exhausting. The medications impact her physically and emotionally. Her energy will ebb and flow but won't be predictable. Be flexible. She may feel great one day and awful the next. Be forgiving. It's an emotional roller coaster. During chemo, I received steroids the first few days of every cycle and I was not a nice person on those days but I couldn't help it - the medicine altered my thinking and my moods. I felt awful that I was mean to those who loved me. Remember, this is temporary. Organize a fundraiser to help her cover unpaid expenses, or to raise money for local, regional, or national cancer research foundations in her honor. Ask her if she has a favorite charity or a special financial need that you can focus the effort on. Thank you for caring enough about her to ask how you can help, and for following through to support her during her cancer journey. She's lucky to have you on her support team. COMING SOON - what NOT to do or say when a loved one has cancer. Galatians 6:2 "Carry each other’s burdens, and in this way you will fulfill the law of Christ." When I was caring for David, I felt so helpless. I couldn't take his pain away. I couldn't take his worries away. I certainly couldn't take his cancer away. I wanted to help him any way I could. I'd offer lots of times. How about I clean the house? Does your daughter need a ride somewhere? What about groceries, can I shop for you? Every time, the answer was a gracefully delivered "no, thanks, honey, just you being here is helpful to me." While I was happy my presence was comforting to him, I was crushed I couldn't do more. On days when David couldn't get out of bed, or when I couldn't stand it to not be doing something, I just did stuff for him without asking....cleaning, errands, etc. I know he appreciated it but even more so it helped me feel helpful. Fast forward 11 years and I became the patient. Surrounded by caring and loving family and friends all wanting to help me. Numerous offers of help and I suddenly realized how David felt. 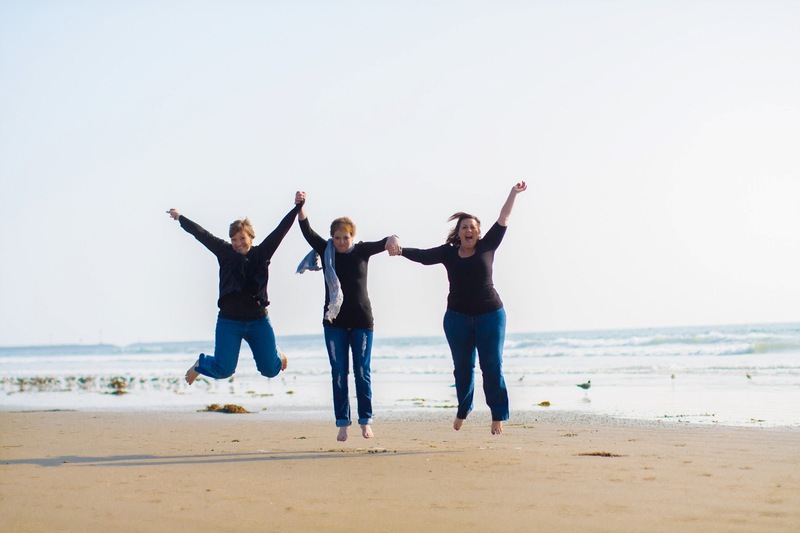 So grateful for their support, but paralyzed by the thought of losing my independence and of becoming a burden or an item on others' to-do lists. I turned lots of offers of help down, despite knowing how it feels to be in their shoes, AND despite being in need of the help being offered. But about halfway through treatment, something happened that opened my eyes to the dangers of turning help down in times like this. Not only did I need the help, but THEY NEEDED TO HELP and I was taking away the one thing they felt they could do to contribute to my well being. This journey is NOT only about the patient. It's also about everyone who loves them. Life is about love, relationships, togetherness. Don't let cancer change that. As a patient, understand that loved ones don't just *want* to help, they NEED to. Let them. Caregivers, understand that it's difficult for your independent loved one to accept help - they don't want to be a burden. Just help and do what you can. Don't just offer, DO. Because although they may turn down offers, they will appreciate everything you follow through and do - especially if and when you aren't requiring them to decide what you can/will do for them. Love each other through it. That's what life is about, in good times and bad. When I was in chemo, my most common challenges were fatigue and heightened sensitivity to noise. My son was a year old and my spouse was away frequently as a normal part of his job and there were many many days that I didn't know how I would possibly keep my eyes open and fulfill all my basic responsibilities as a mom - even with a sitter during the weekdays, the evenings and weekends were quite a challenge. It was hugely helpful when friends and neighbors stopped by to take my son for a walk or a few hours of play time at their house so I could rest in silence.